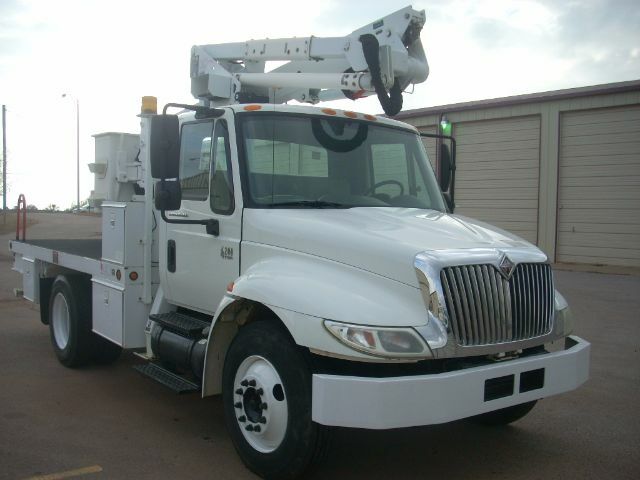 2007 International 4200 - Bucket Truck in Mustang, Oklahoma - Stock# 9551 - Utility Sales & Inv. Please contact me regarding the 2007 International 4200 - Stock# 9551 for sale at TruckerToTrucker.com. Take a look at this 2007 International 4200. It is Stock# 9551 at TruckerToTrucker.com. 2007 International 4200 NON CDL Hydraulic Brakes 6.0L Turbo Diesel Auto Transmission. Equipped with Altec AT-37-G Articulating and Telescopic 42ft Single Man Bucket/Boom Truck. Flatbed with Some Tool Box Storage, Start/Stop with DC Backup and Hydraulic Tool Hook Up, Bucket Rotates and Levels Hydraulically.